The Student Support Services (TRIO) students and staff at Aquinas College are excited to present the fifth book in our collection entitled "Our Voices". Each narrative collection has been centered around one of the Domincan charisms of prayer, study, community and service. This collection is about discovering community. College decisions are full of uncertainty.The people students surround themselves with in college are crucial to helping them make decisions. 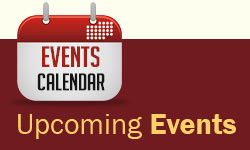 In our TRIO community, students find the support and courage to find answers. 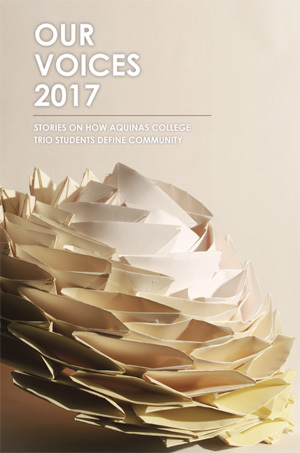 Within these narratives, Aquinas students share their journey into finding community here at Aquinas College.